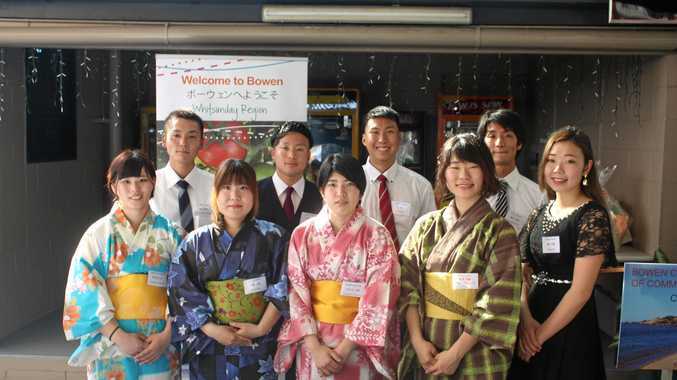 A GROUP of international students from Japan touched down in Bowen last week as part of an education program which could one day spell big trade benefits for the region. The ceremony marked the beginning of 12-month training program which will see the Japanese students learn agriculture from the best in the business. 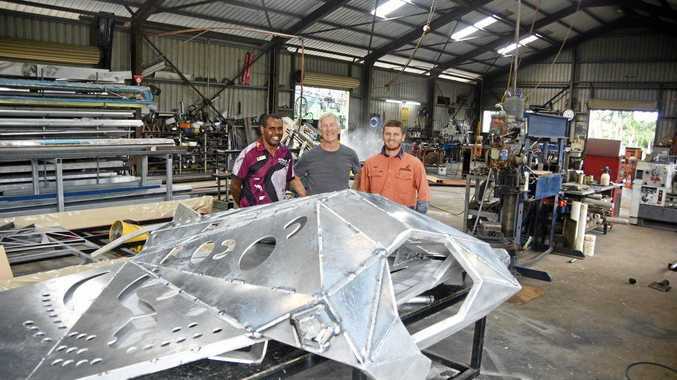 The students will spend the first month at Bowen TAFE learning English and then be assigned to a farm to learn everything from ground preparation, planting, picking and irrigation techniques. Bowen Gumlu Growers Association president Carl Walker said the collective effort is a huge achievement. "It's scary in a way, but it's exciting," he said. "These kids are going to be future leaders in Japanese agriculture. "They could be people who help sway whether or not trade with Queensland is worth doing." Mr Walker said Japan, which has population of 126 million people, only grew 30 per cent of their own produce, which provided a wonderful opportunity to showcase Bowen's reputation. He said a grassroots program such as this is an opportunity to build a wonderful relationship. "From little things big things grow, and this could be the seed that increases our trade prospects," he said. "My vision long-term is to have Japanese companies come to the region to co-invest in growing or purchase product, and hopefully that will be off the recommendation off some of these students." The initiative is a joint venture between the Bowen Gumlu Growers, the Bowen Chamber of Commerce and the Japan Agricultural Exchange Council. Bowen Chamber of Commerce chairman Bruce Hedditch said if these students can go onto become industry leaders it could create opportunities never previously imagined. "The beauty of these students is they have an interest in the industry," he said. "So this will be good for the farmer because they've got people interested in what they're doing." Mayor Andrew Willcox said the program is a great initiative that he hopes to see grow. He said Bowen was the best winter growing region in the country which offered these students a great opportunity. "Our farmers are at the pointy end of their game and for these students, it's a great opportunity for them to come over and see how good the farmers are," he said. "They're learning from the best."